To donate securely online to these projects, click on the CharityCheckout button. Since 2012 we have been working closely with leaders of the Anglican church and the village government in Ihomasa. Pastor Josephat Mbanzi planted a new church in the village in 2011 and the church grew quickly, especially with young people getting involved in the choir and football team that he set up. Pastor Mbanzi has a heart to demonstrate the Gospel to the community in actions as well as words and it became clear that the lack of clean water was one of the biggest issues facing the village. One resident, Blandina Mpwepwa was going four or five times a day to the stream to fetch a bucket of water, a 30 minute round trip. She said the water caused illnesses, especially upset stomachs. Not only was fetching water taking people a lot of time but the health problems associated with drinking water from this kind of source are huge. Drinking unsafe water is one of the biggest causes of diarrhoea, which kills 2.5 million each year. When visiting the church one Sunday in 2013, Pastor Mbanzi asked us to go with him to visit a member of the church whose child was sick. We went into the small mud house house and a young lady came out holding an 8 month old boy named Daniel. We were told that he had been suffering from diarrhoea for two days. He looked so very weak and we could see from his eyes that he was very dehydrated. We prayed for him and told the mother to take him to the local clinic for treatment. Tragically, young Daniel died the next day. We don’t know all the circumstances causing his death but it’s likely that his death would have been preventable if they had had a clean and safe water supply. Following an invitation from the Diocese of Ruaha to help the church and community in Ihomasa, we started disussions with the village and church leaders, asking the question “how can we help you to solve this problem?”, and “what resources do you have to solve the problem?”. It’s important that the community have ownership of the problem as well as the solution and before we started anything we made an agreement of what the community would contribute to the project, especially in terms of local materials and labour. Our water engineers came up with a simple design for a gravity flow water supply that brings clean water from a spring above the village to water points for all the community members to use. It’s a system that’s easy to maintain and there’s no machinery like pumps which are notoriously difficult to maintain. 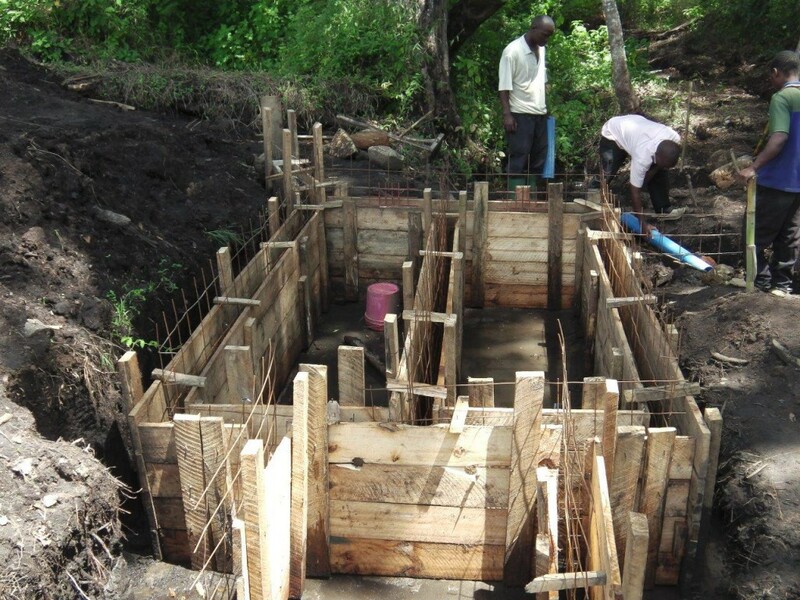 Work began in January 2014 to construct an intake which collects clean, pure water from the spring and feeds it down to tanks in the village via a network of pipes. In April 2014, a team of men from Emmanuel Church in Guildford came to stay in Ihomasa for 2 weeks, helping with construction of a fence to protect the intake area from pollution by animals or people. 6 miles of trenches for the pipes were dug by the community members and the 14 new water points were operational at the end of 2014, providing clean water close to people’s homes. 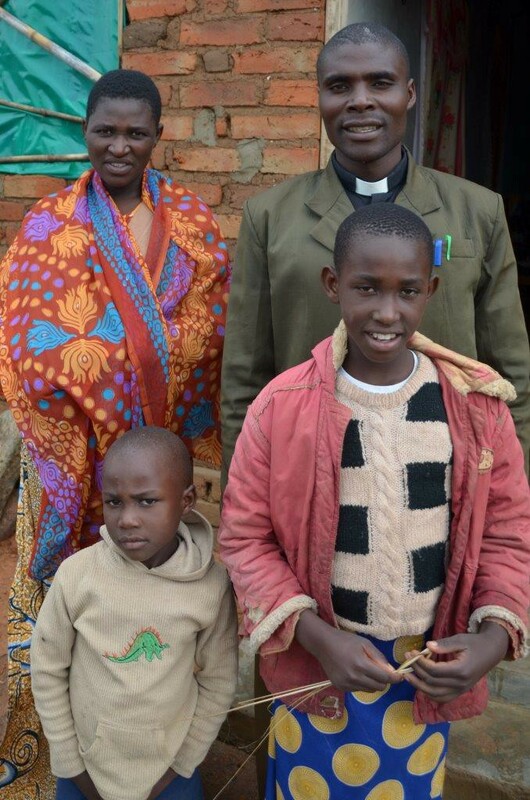 Blandina Mpwepwa is a widow with 6 children. She used to spend 2 hours a day fetching water from a polluted stream at the bottom of a hill. 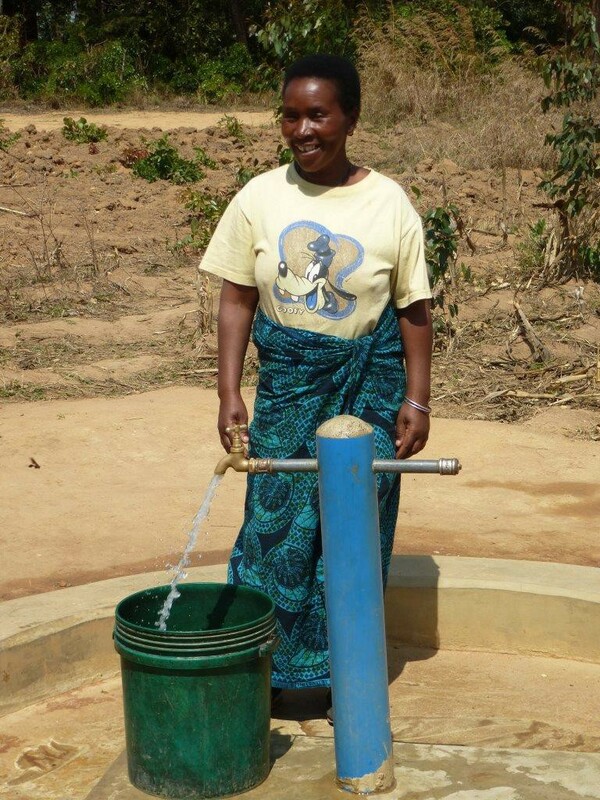 Now she collects clean water from a tap 5 minutes from her home. Although clean water is now flowing, the project isn’t over yet. Although the ‘hardware’ is now complete, what is vital now is the software – the people and community structures who are going to make sure it works and continues to work. A village water committee have been appointed and trained to manage and maintain the new water supply. They have also been trained to provide hygiene and sanitation education to the whole community, teaching people through stories, games and songs about how germs spread, the importance of hand washing, and how they can improve sanitation at home. This is vital, along with improving water supply, in order to reduce disease. The community are also being mobilised to improve household toilets. Most people have a simple pit covered with logs. Some homes have no toilet at all. We are teaching people in Ihomasa to make ‘sanplats’. 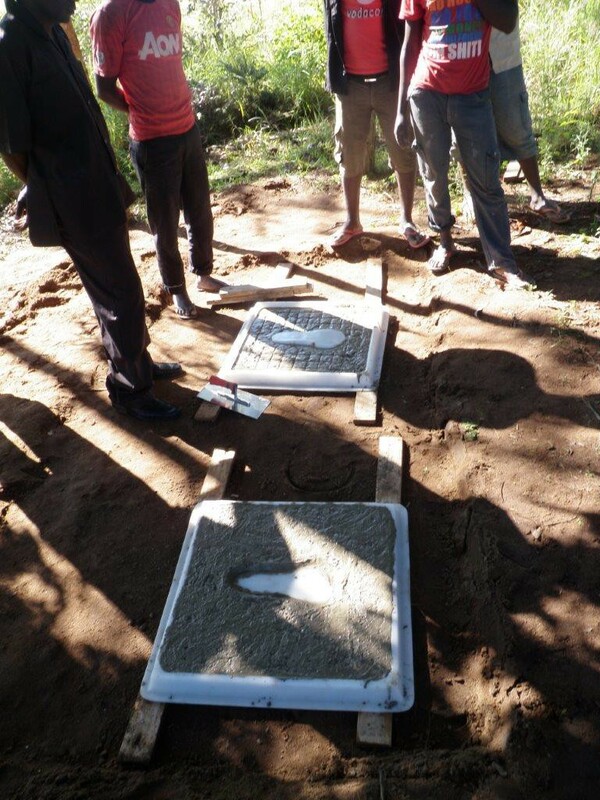 They are simple concrete slabs cast into a mould which can be fitted onto an existing pit latrine. They improve hygiene by giving a firm base to stand on that is easy to clean. Veronika is 39 years old, a widow with five children. Three are boys (aged 12, 9 and 7) and two are girls (aged 16 and 4 years). She has lived in Kiwere since birth, and is used to fetching water from the Little Ruaha river which takes her 2 hours and 30 min for the round trip to her house. 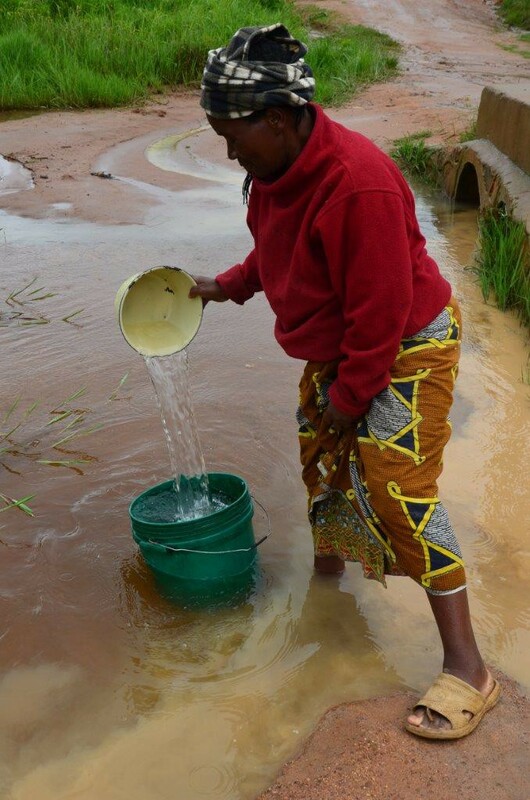 She needs nine buckets of water per day, so she goes to the river to fetch water three times per day, and her children also go after school to get more water in the evening. This affects their school attendance and homework. The water is not clean and safe to drink. Kiwere is a village of subsistence farmers in Iringa Rural district in Tanzania. The lack of water is the biggest issue facing the village so the community leaders have requested help from the church. 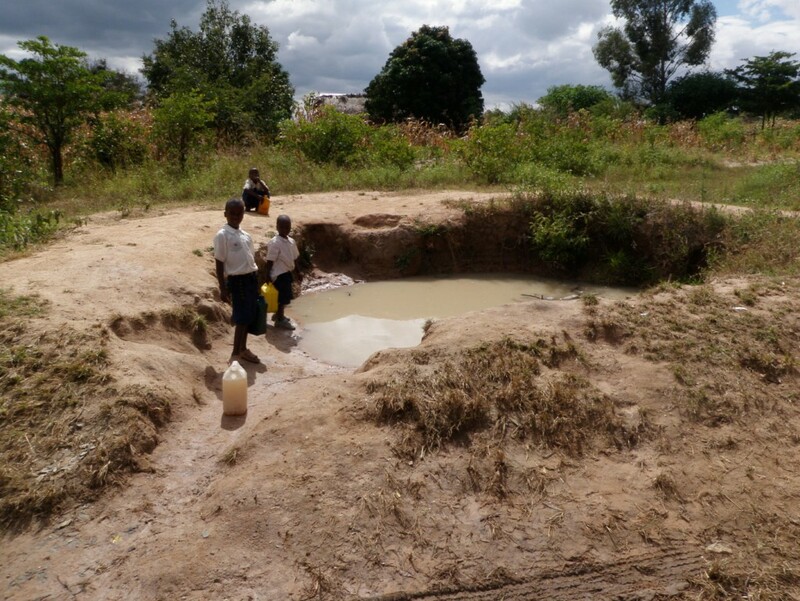 Currently the residents of Kiwere are forced to fetch water from polluted pools or the Little Ruaha river two hours walk away. 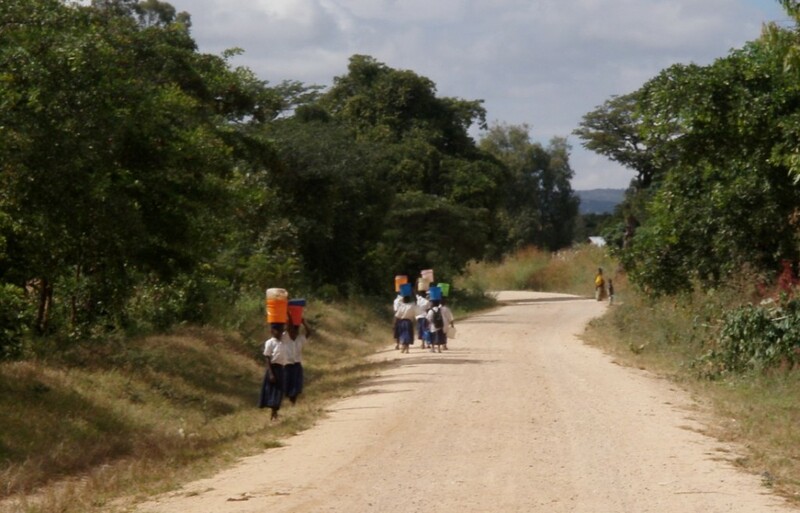 Emmanuel International is working in partnership with the Anglican church in Kiwere, together with the local community to bring water within easy reach of the population of approximately 2000 people. Through a gravity water system, water will flow from an intake on the river to storage tanks in the village, and water distribution points will provide water close to people’s homes and at the primary school. Gravity water systems have no moving parts or machinery which are prone to maintenance issues. The technology is so simple that it can be maintained by local people with local resources, and as part of the project a local water users committee will be formed to operate the water supply for sustainability. In addition, each household will be trained in point-of-use water treatment so they can drink clean, safe water in their homes. In addition, the community will be mobilised to improve their household hygiene and sanitation, through simple interventions like ‘tippy taps’ for handwashing and ‘sanplat’ latrine slabs. Read more about the young people who have raised funds for this project: 12th High Wycombe (Union Baptist) Beaver Scouts and Lions Den, Emmanuel Church Stoughton. Emmanuel International has partnered with the Anglican Diocese of Ruaha, in southern Tanzania to respond to a request for assistance from the remote village of Isanga. High in the mountains of the Southern Highlands, Isanga is inaccessible to vehicles during the wet season. One of the biggest problems facing the community was the lack of clean water. Mera is a widow with five children. She has lived in Isanga all her life. 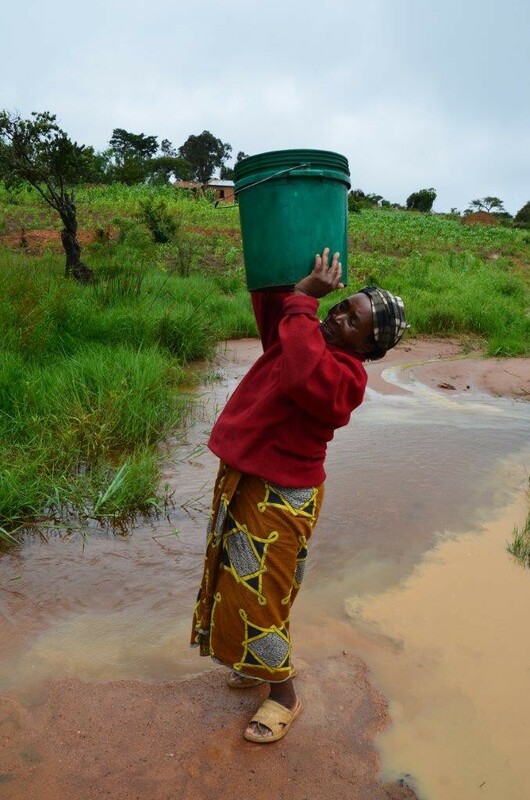 Before the new waterpoints were constructed she fetched water from a stream down in the bottom of the valley. It would take her 2 hours to fetch water there. Now it only takes a few minutes to fetch water. This makes life so much easier for her family. The village is situated along a high ridge and the residents previously had no option but to collect unsafe water from streams in the bottom of the valley. 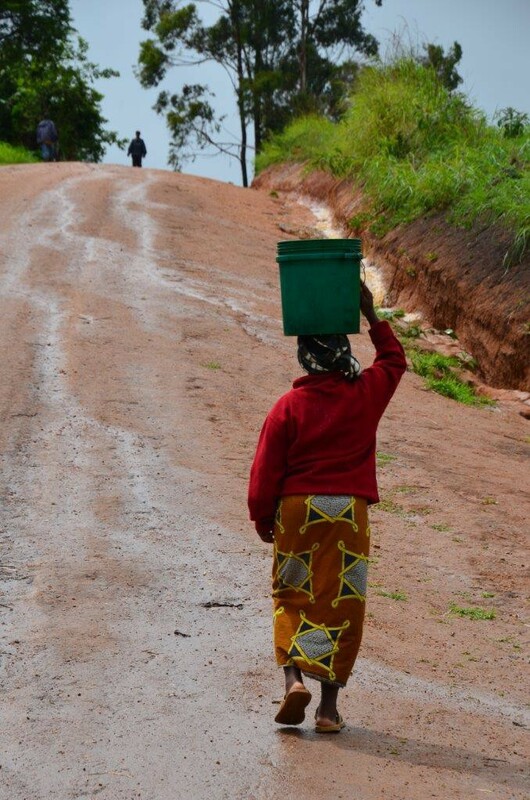 The hard part of the journey for the women and girls who normally collect water was on the way back, up the very steep valley sides carrying buckets of water. 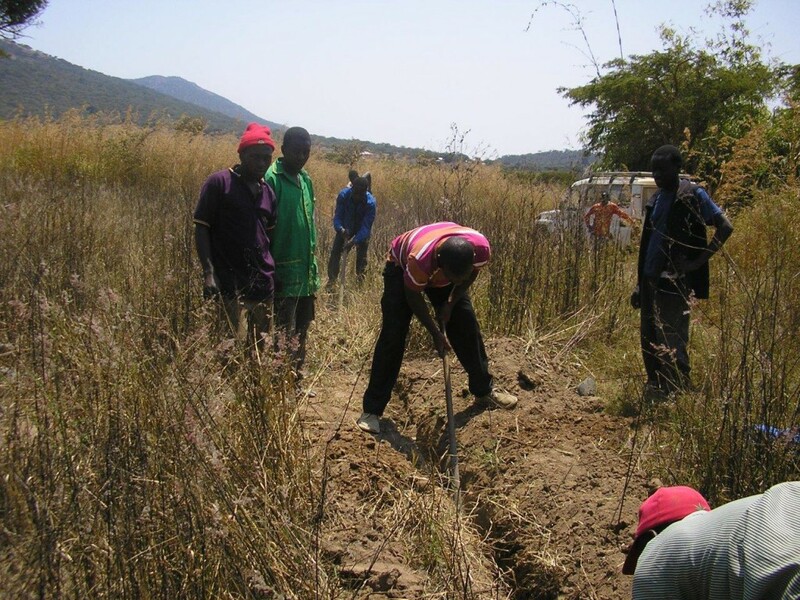 Leaders of the village mobilized the community members to dig the 5km long trench required for a pipeline bringing clean water from two springs higher in the mountains, extending the system from the neighbouring village of Idegenda. Emmanuel International worked with the local church and community as well as the district government to install the new pipeline and construct nine water points, situated close to peoples’ homes including one at Isanga Primary School. Thanks to the hard work and close collaboration of the community, church, and government, and the generosity of Emmanuel International’s supporters, 1200 people now have access to clean, fresh water. As part of the project, training sessions have been conducted on administration and maintenance of the water project. 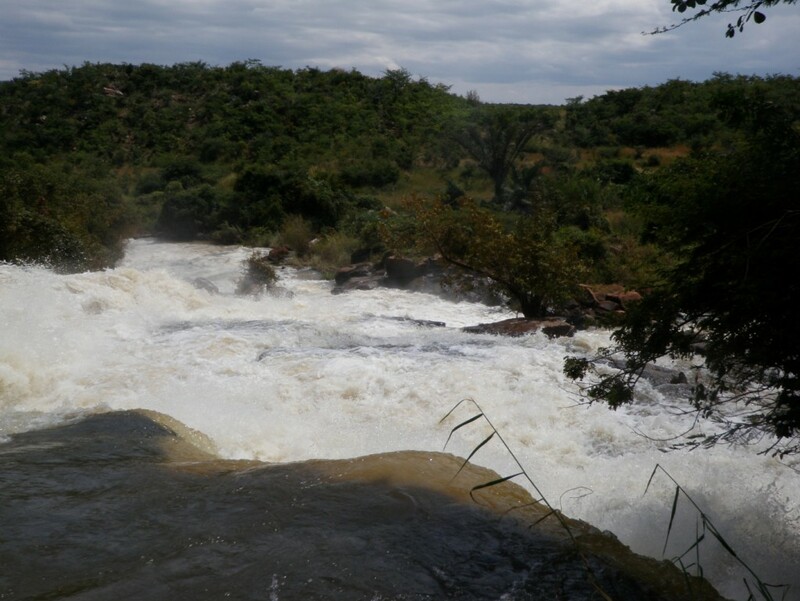 A Water Users’ Association has been formed for the two villages Isanga and Idegenda which share the water source. Local technicians have been trained in all aspects of maintenance and repair of the system. The villagers have agreed to all contribute a nominal annual subscription for water supply services, which covers the maintenance costs. 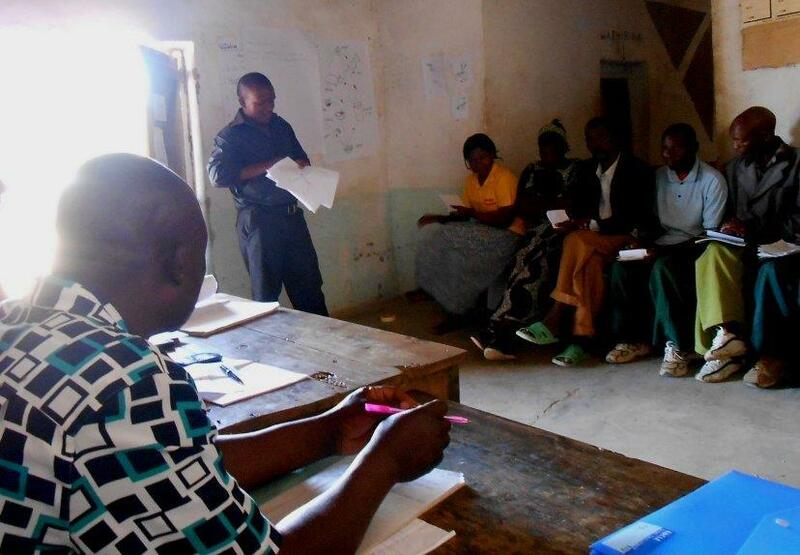 Basic hygiene seminars have been held for all the village leaders, and a group of Community Health Representatives (one man and one woman from each sub-village in Idegenda and Isanga) have taken part in a 3-day training course. During the course they were taught about care for the water supply, water treatment, prevention of the spread of germs, personal hygiene, and how to improve household latrines. The material was taught with a combination of Bible teaching, games, songs and picture based activities, and the participants were taught how they could use the material themselves to teach others. Each Community Health Representative has been provided with a teaching manual and a pack of laminated pictures for the training exercises so they can teach their fellow community members, either in small groups or during household visits. Commencing in September 2012, a village team has been set up and trained to make concrete latrine slabs which can be retrofitted to existing latrines to facilitate easy use and cleaning, and improved safety thus improving sanitation cleanliness. To date, over 100 slabs have been made and the team has commenced selling them to villagers.